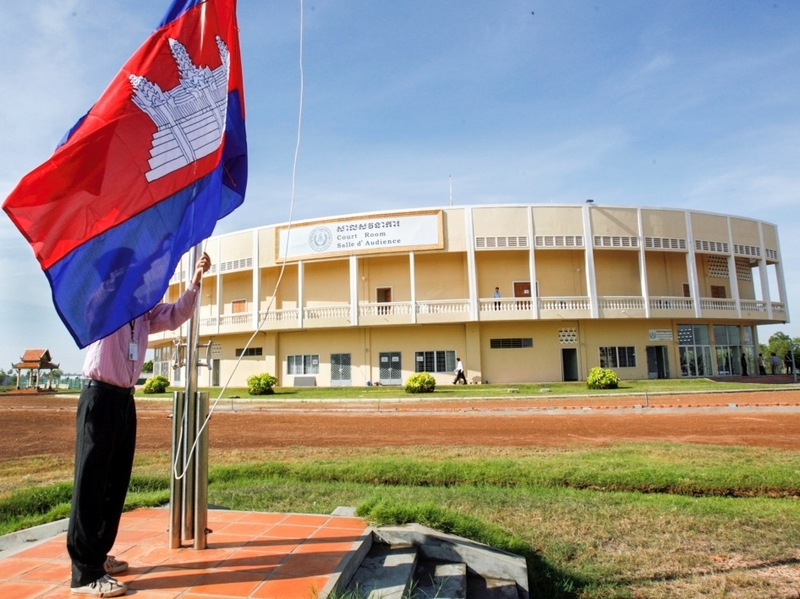 Kirsten Ainley, an Assistant Professor of International Relations at the LSE and the Director of the Centre for International Studies, joins JiC for a guest-post on the recent verdicts at the Extraordinary Chambers in the Courts of Cambodia. Kirsten has published on the politics of war crimes trials, transitional justice, the International Criminal Court and responsibility for atrocity. She is currently editing a book evaluating transitional justice in Sierra Leone. After a conflict that killed a quarter of the population of Cambodia and caused incalculable damage to its society, two defendants, Khieu Samphan and Nuon Chea, were found guilty of crimes against humanity relating to the forced transfer of millions of civilians and the extermination of deposed Khmer Republic officials during the Khmer Rouge’s evacuation of Phnom Penh and other urban areas in 1975. It has taken the ECCC more than 8 years and more than $200m to get to this point (and the case is not over yet – the recent verdict is only for a limited number of charges. Case 002 was split to enable efficient handling, with the second part of the trial just started). The first phase of the trial lasted 222 days, included testimony from 92 individuals and 166,500 pages of written evidence, and was attended by over 100,000 people. So, was it worth it? As a follow-up to my previous critique of the ECCC, this post assesses initial responses to the verdicts in Case 2. The responses I focus on below are from, for the most part, Western politicians, lawyers and NGOs. This is not to suggest that responses from Cambodians are unimportant – just that my focus here is on the way the Cambodian case plays into or disrupts the dominant discourse on international justice propagated by predominantly Western commentators. This discourse, as demonstrated by Leslie Vinjamuri, has moved from a focus on justice as intrinsically valuable towards claims that justice is instrumentally valuable because of the goods it can deliver. The outcomes or consequences of justice that are most frequently asserted are deterrence and peace, on the one hand, and democracy and rule of law, on the other. Much work has been done recently to provide evidence for these outcomes. For instance, Katherine Sikkink claims that prosecutions for human rights abuses deter future human rights violations, and Olsen, Payne and Reiter claim that transitional justice mechanisms have a positive effect on human rights and democracy measures. Reactions to Case 002 at the ECCC are of particular interest because of the paucity of democracy and respect for human rights in contemporary Cambodia. Claims that justice has had instrumental value there would be very hard to substantiate. So what do its supporters claim? Early analysis shows that, in the absence of strong claims to make about the instrumental value of justice, proponents revert to making claims about its intrinsic value. Critics of the Court also focus on the intrinsic qualities of justice (criticising the court for delivering a poor quality of justice or too little justice) but do not engage with questions of whether justice has brought positive consequences for democracy, the rule of law and so on. that the ECCC process had been ‘good for Cambodia, the rule of law and democracy’ and Kip Hale (formerly of the Office of the Prosecutor at the ECCC) argued that ‘[m]any thousands of Cambodians personally witnessed a functioning court of law conducting transparent and fair trials while delivering justice’ and that ‘[t]hrough day-to-day interactions between Cambodians and internationals, the ECCC has trained many Cambodian lawyers, court administrators, and other professionals who will work in various Cambodian public and private sectors once the ECCC closes.’ However, the contemporary situation in Cambodia refutes claims that the ECCC has had a positive impact on democracy and the rule of law. The HRW World Report 2014 lists multiple HR violations on behalf of the ruling CPP government or its allies, including excessive use of force by the police in response to protests about the fraudulent national elections; widespread land-grabs by economically and politically powerful actors; violence from security forces towards people peacefully protesting these land-grabs; political imprisonment; arbitrary detentions; and frequent and large-scale abuses by the security forces which are allowed to go unpunished. In a sign of its concern, the UN HR Council has extended the mandate for the Special Rapporteur for Human Rights in Cambodia until Sept 2015. In the absence of evidence of that the ECCC has instrumental value in Cambodia, rather than reassess their prior views of the value of the Court, supporters assert the intrinsic qualities of justice. Rapp, for instance, praised the verdict for recognising the death and suffering that victims and survivors had endured and argued that the ECCC had given Cambodians a lesson in their recent history. Chea Leang noted the participation of the Civil Parties and the attendance of the public (a position which assumes participation in justice is a good in itself) and Hale asserted that the verdict ‘has immense symbolic value’ both because it managed to place ‘formerly untouchable leaders in the dock’ and also because the grudging apologies or expressions of regret by defendants were ‘important cathartic moments for a still-healing nation’. The International Center for Transitional Justice (ICTJ) commended the role the ECCC played in giving ‘an opportunity for victims and civil society to contribute to shaping a shared narrative of the past’ and Craig Etcheson (formerly an investigator in the OTP at the ECCC) emphasized the ‘extraordinary cache of documents and testimonies’ amassed during the investigation and trial processes. What is striking here is that no one has taken supporters of the ECCC to task on the question of whether justice leads to improvements in democracy and human rights observance, as leading TJ scholars claim. Of the commentators mentioned above, only The Economist (not the most dedicated champion of human rights) mentions the current human rights record and the threats to democracy in Cambodia. In some senses this might be welcome realism – critics may be limiting their critiques to what they believe the ECCC is actually capable of. But by failing to engage on the consequences of justice in Cambodia, they miss the opportunity to highlight current conditions there. The lack of attention paid by both supporters and critics of the ECCC to contemporary conditions in Cambodia matters not just because the Cambodian case challenges received wisdom in the transitional justice field. It is also likely to have material effects. Cambodians who wanted prosecutions of the Khmer Rouge often did so because they hoped a court would help to focus international attention on Cambodia (the situation in the country was long-ignored as Cambodia was used as a pawn in Cold War politics). They were right – the ECCC has brought international attention – but it has not brought non-corrupt governance, human rights, the rule of law, a reliable justice system or any of the other things that Cambodians have routinely been denied. 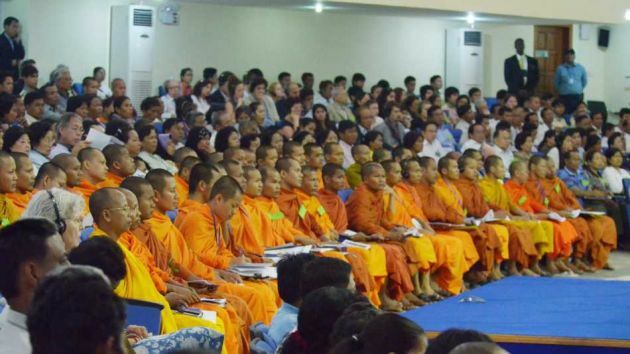 Allowing proponents of justice to imply, in the face of the evidence, that the ECCC has brought instrumental benefits, or to switch their claims to the intrinsic value of justice, risks facilitating a discourse of ‘success’ in Cambodia that ignores the many problems that remain, and allowing international attention to divert to the next crisis on the assumption that the job in Cambodia has been done. This entry was posted in Cambodia, Extraordinary Chambers in the Courts of Cambodia (ECCC), Human Rights, International Law, Justice, Transitional Justice and tagged Kirsten Ainley. Bookmark the permalink. 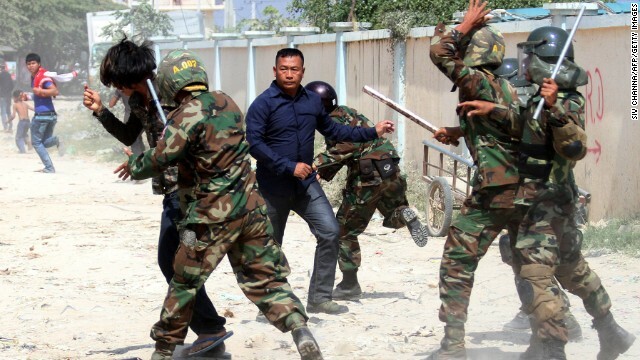 You’re asking for proof that justice leads to democracy and human rights in Cambodia…one month after these verdicts? Seriously? If there’s a logical correlation here, it’s that the complete failure of justice processes in Cambodia over the last decades correlates to the failures in democracy and human rights you observe. There’s no necessary causation there, but it’s certainly superior to an obviously tendentious, rhetorical claim that Cambodia not being transformed over the past month is proof of anything. I say this not as an optimist who thinks that even after 5 years these verdicts will be transformative — the current power structures are now too embedded — but I do say it as someone who thinks intellectual enquiry shouldn’t be transparently biased.